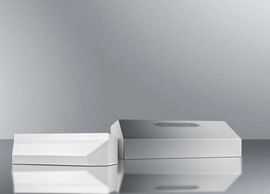 Add an open door alarm to audibly buzz when the door is left ajar. 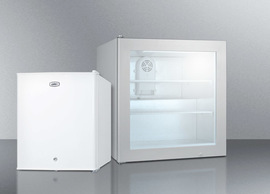 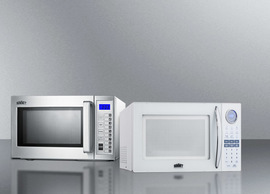 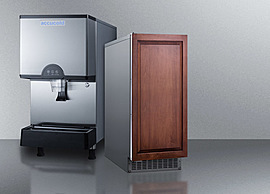 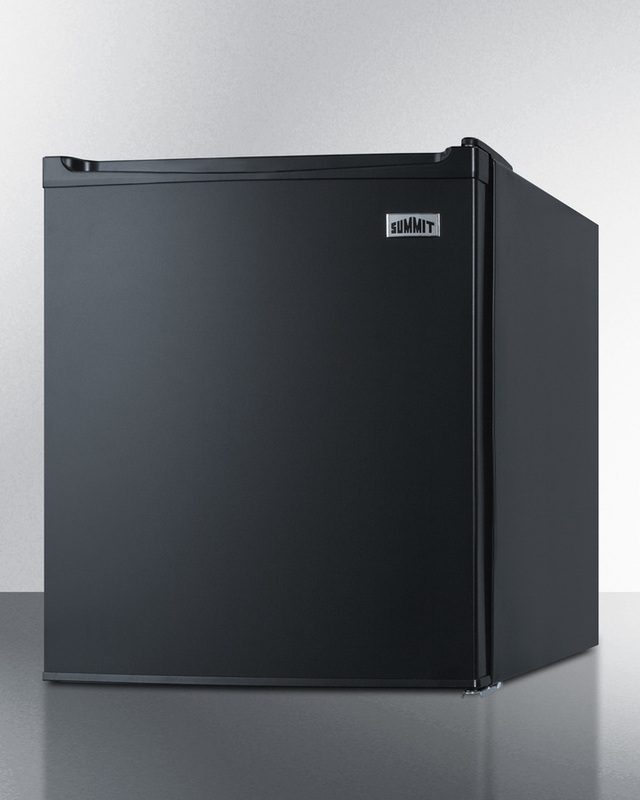 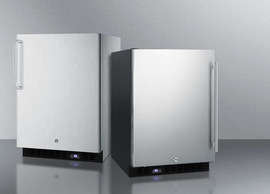 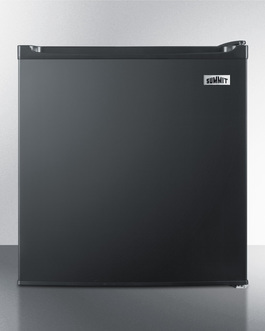 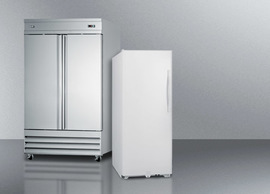 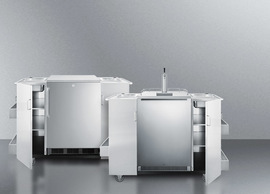 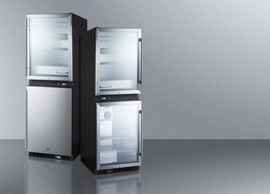 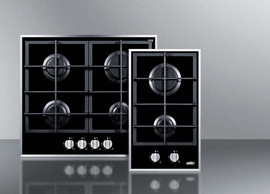 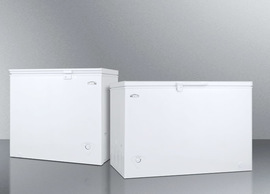 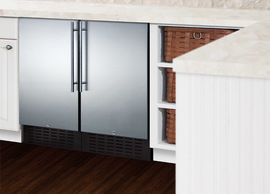 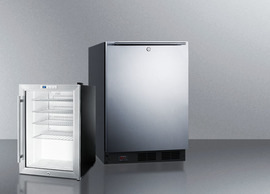 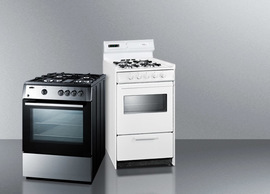 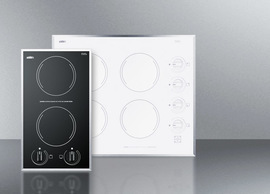 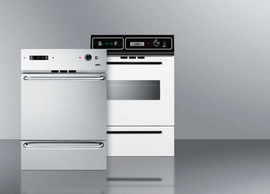 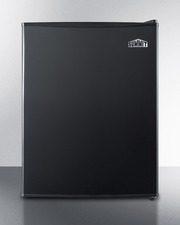 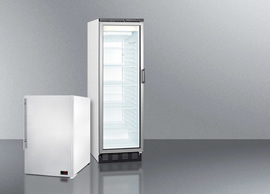 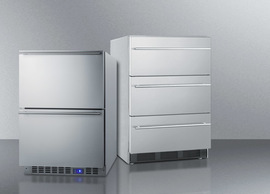 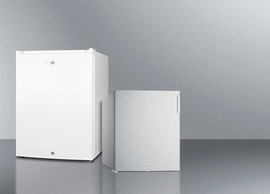 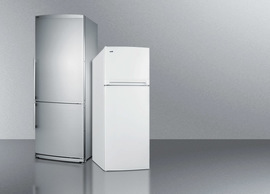 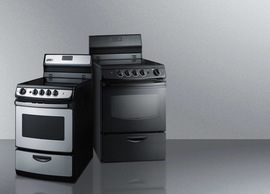 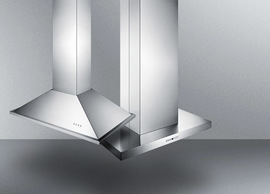 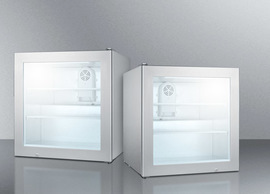 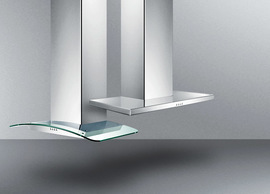 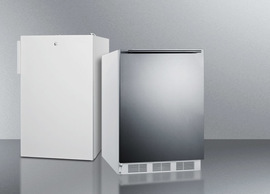 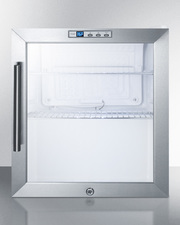 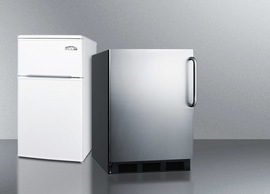 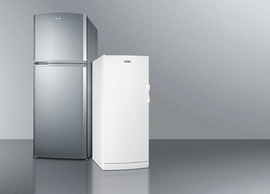 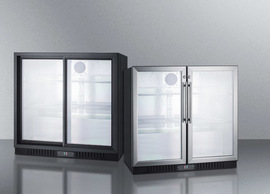 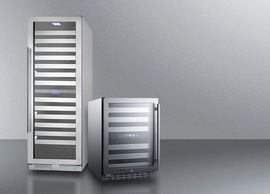 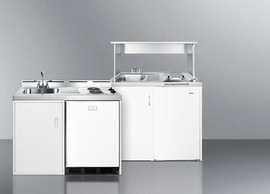 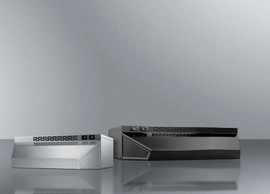 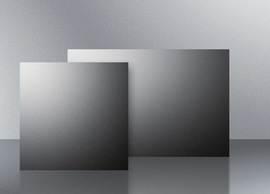 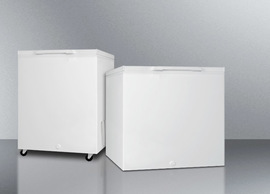 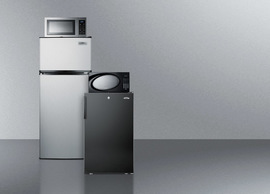 Summit offers a unique selection of automatic defrost all-refrigerators conveniently sized for countertop use. 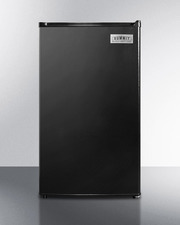 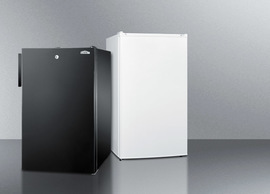 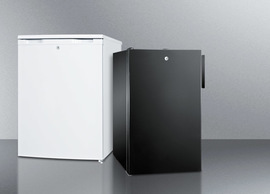 Sized at just under 19" wide, the FF22B is a compact all-refrigerator in a jet black exterior finish. 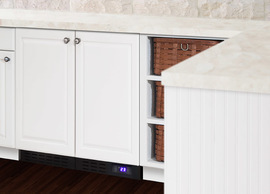 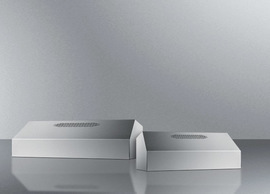 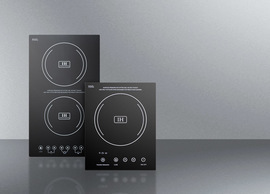 It features a sealed back for a streamlined look and easier cleaning. 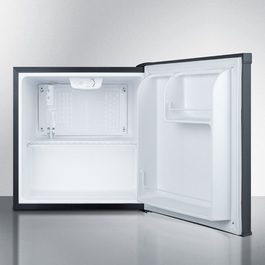 Inside, the FF22B offers 1.7 cu.ft. 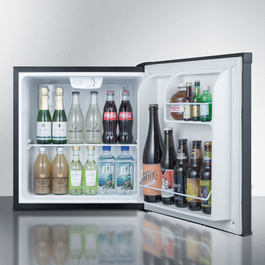 of storage space. A removable half shelf lets you maximize your storage and door racks offer the perfect position for condiments and tall bottles. 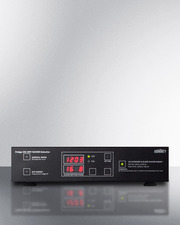 This unit includes a dial thermostat for easy temperature adjustment and an interior LED light with an on/off rocker switch. 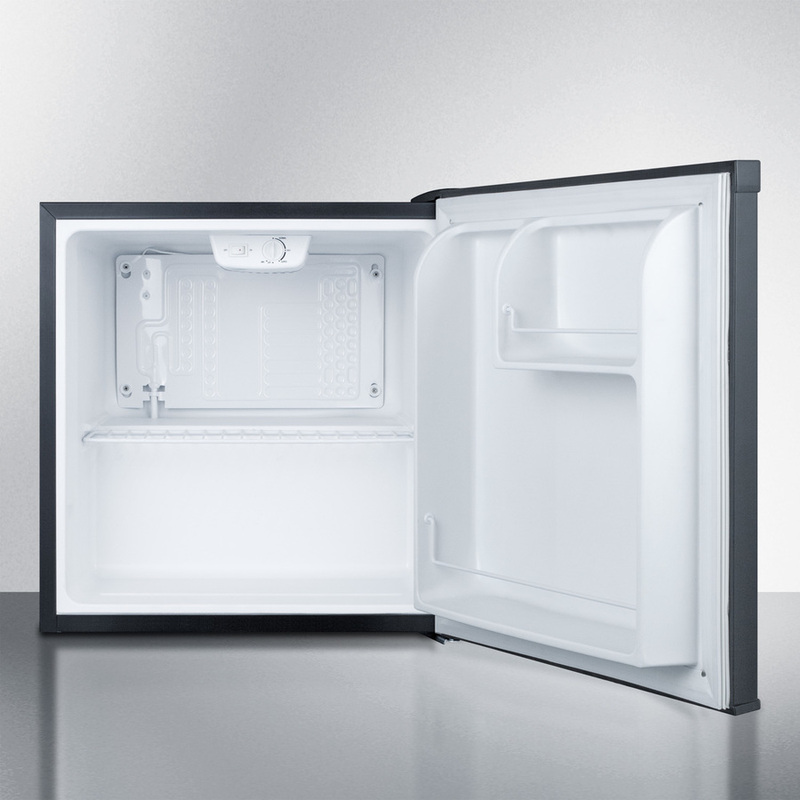 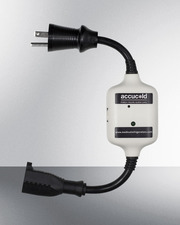 Automatic defrost ensures minimum user maintenance. 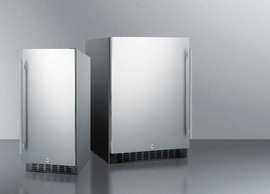 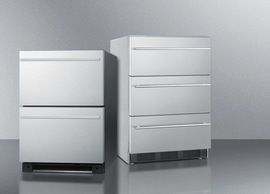 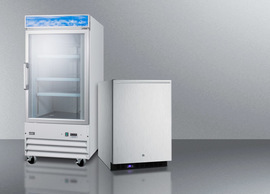 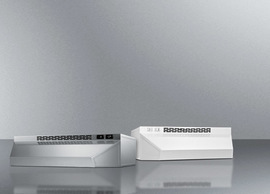 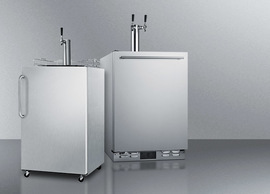 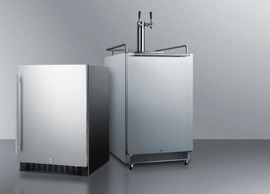 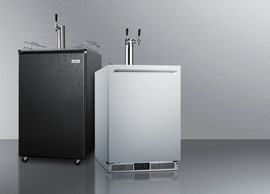 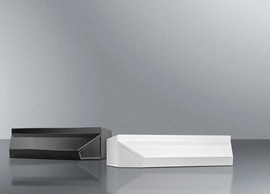 With its compact size and user-friendly design, the FF22B is the perfect choice for hotels, offices, and other settings in need of reliable cooling in an easy fit.